I love used book stores. I love old books; the musty but in a good way smell, the way they feel in your hand, the sound of the page turning, the slightly yellowed paper. Can you tell I don't have a K*ndle yet? Well, amongst the crazy throngs of people, the hundreds of vendors, the stacks of shiny new books, kits and plastic manipulatives, at our state homeschool convention you will find a little piece of heaven. It is a small nook. They bring in rugs to lay down on the concrete floors. The shelves are wooden, real wood, not pre-fab. And they must be 8 feet tall. And they make a little room, a little room closed out of the rest of the chaos. And those tall wooden shelves are filled with old books. Out of print treasures and old hardback copies of classics sans dust jackets. It is my favorite stop at the conference. You never know what you might find. And this year, I found a treasure. Well, several really. Fifteen to be exact. Am I the only one who loved these as a child? My parents had a shelf in the den where these books were kept. 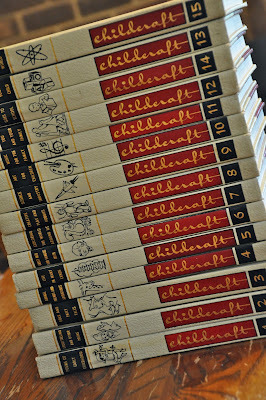 Many hours were spent sitting on the green shag carpet leafing through these books. The crafts! The stories! The science experiments! I could have kept myself busy all day with one of these books. I made doll house furniture out of found household objects, build little boats to float in the tub, and read about fairies and princesses of long ago. Mom long ago passed our set along to another family. I have a few times looked to replace them, but never wanted to spend too much. Then there they were. And under $50! How could I walk away? So, they are now mine, and I can't wait to find a shelf where they can live, and my children can sneak a moment to sit and devour their contents. I love old books too! One time I went into the mountains of Colorado with my grandpa, then 95, and we visited an antique store in the tiniest village. And it was full on antique school primers! And a World Almanac from 1859. I bought a school primer for each grade through 8th grade as well as the Alamanc, all for under 50$. I also got a grammar book from 1872. 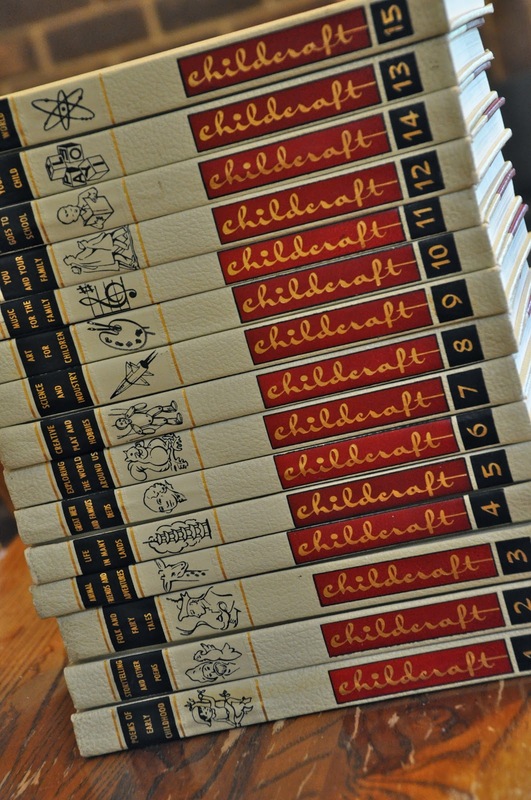 I have used these book for years and years in my home school. Some of the values communicated in these stories are nearly extinct in modern literature!